I swear by Kitchen Aid for all my standing mixing bowl needs. I spent ten years in the hospitality industry before my current teaching profession, and any good kitchen had one of these either for the cooks or the bakers to use. I've mixed everything in it from whipped cream to truffle pate to sourdough bread. The multiple mixing attachments allow a home cook to be able to make a plethora of extensive restaurant-worthy recipes. My boyfriend and I own one at our house and use it every time we make cookies for perfectly creamed butter and sugar. The appliance is very heavy, which is cumbersome if you aren't strong, but much appreciated when you turn the contraption on full volume and want the weight to keep the mixer at bay. My only complaint is that over the years the whip attachment needs to be replaced, as the wires start to warp and loudly scrape the sides of the bowl, kicking up silver particles into the food. 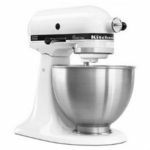 Normal wear and tear is expected, so that's a small price to pay for a great mixer. I've been dreaming about one of these for years. My mom bought one for me for my birthday one year and I've been in love with it ever since! It's so easy to use and my 4 year old loves to use it (of course with adult supervision). We love to make different desserts with it, especially during Christmas time. I love to bake. It's the only type of cooking that I'm good at. I've had this kitchen aid mixer for years. I love it. I haven't had any issues with it. I like being able to lock it and choose the correct speed. I had a hand held blender for so long that I couldn't imagine not having a kitchen aid mixer. It's honestly the best brand and I highly recommend it. I use this from everything like mashing potatoes to baking chef quality cakes and I couldn't imagine not having it. 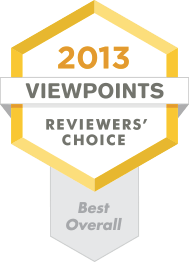 Love it so much that I have bought several for other family members and hear noting but rave reviews and appreciation. Thank you for making my life easier in the kitchen and me being able to provide great food for my family. I just wish I could outfit my whole kitchen in all of your appliances . I don't know how I lived with My KitchenAid stand mixer! 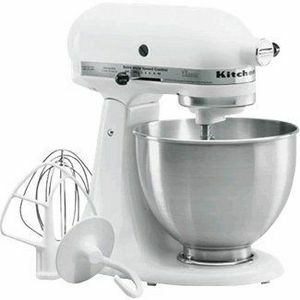 I love the KitchenAid classic stand Mixer. 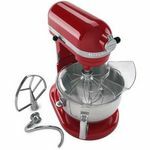 I have gotten rid of so many appliances due to this Mixer. I got rid of my pasta maker, meat grinder, ice cream maker, hand mixer, potato masher, and more. 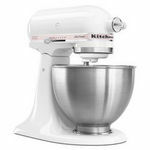 I am a good cook, but I love to bake and thanks to my KitchenAid mixer I am able to make Devine buttercream frosting, and batch after batch of cookies. 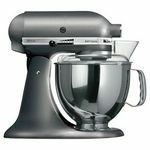 I was buying 3 or 4 hand mixers a year before my KitchenAid, because Just put your ingrediants in and let it go. I won't live without it ever again. I'll never need another mixer! I've had my Kitchenaid Mixer for a few years now and use it to make anything from pancakes to sausage with all of the different attachments available. It's easy to use and clean. I wouldn't recommend anything other than a kitchenaid! I've had my kitchen aid classic stand mixer for about 3-4 years. It works great. My cakes come out light and fluffy. When I make scratch whipped cream it comes out perfectly! My dad bought me this mixer in 2006. I still have it, and use it multiple times a week. Haven't ever had any issues with it! I want a new colored one, but I really can't justify it because mine is perfectly fine. I have yet to use my KitchenAid for it's every purpose. I don't have any extra attachments but even with my limitations I love it. I love it so much that I plan to invest in some attachments... Especially the pasta maker! !